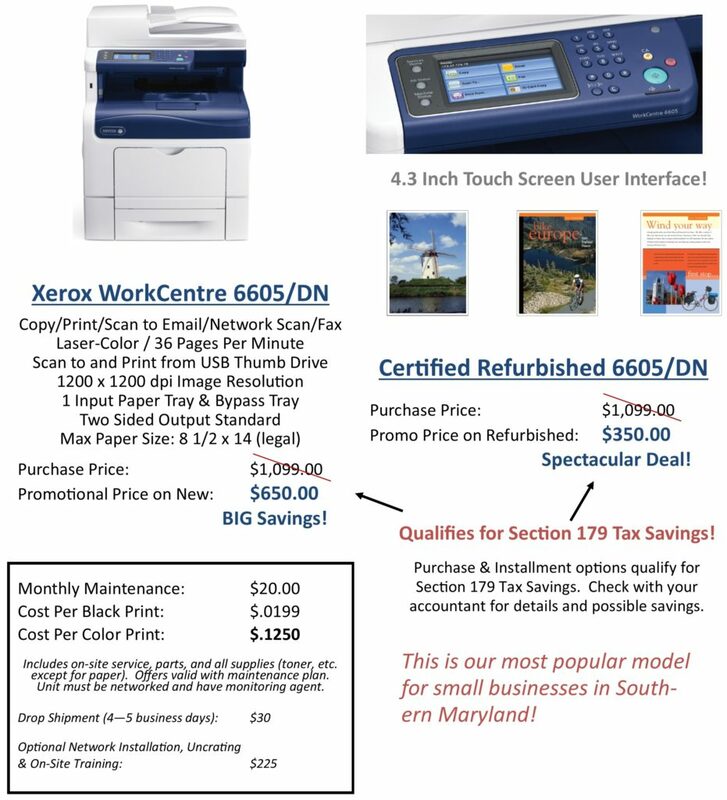 The Xerox WorkCentre 6605 is our most popular model for small businesses in Southern Maryland! This color multifunction printer comes with copy, print, fax and scan. The 4.3 inch color touch screen user interface makes it easier to perform scanning and other functions. Currently, we have big savings on the Xerox 6605! Purchasing the Xerox 6605 also qualifies for Section 179 tax savings which makes it even easier to obtain. This offer ends December 27, 2016.